It's time for Bendy! 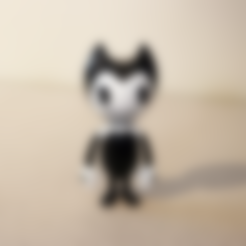 This is the drawing version of Bendy from the video game Bendy and the Ink Machine. 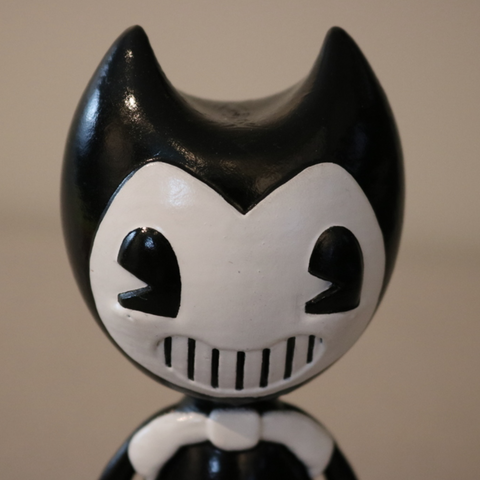 I modeled Bendy in ZBrush. I mostly used primitive objects like a sphere for the body and cylinders for the limbs. I just dynameshed them and sculpted them to shape. The head I did the same process but I used the subtract Boolean operation to cut out most of the details on his face. His hands were created using ZSpheres. 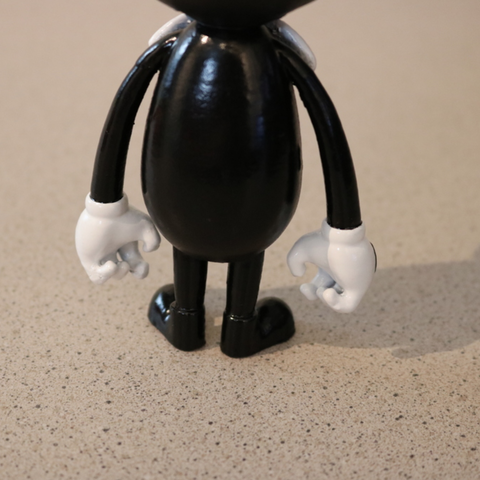 Bendy was sliced in Simplify3D and printed on the Robo R2 using Polysmooth filament. It was then polished in the Polysher. Then Chelsey primed it with filler primer and painted it using a paintbrush and basic acrylics paints from our local hobby store. Then she sealed it with a glossy clear coat.